This week we take a look at backsweetening – a technique commonly used in mead and cider making but not well known by beer brewers. In certain cases, backsweetening can enhance the flavor of many beers, ciders and meads. Backsweetening is a technique used in hard soda, meads and ciders, particularly those containing fruits. Unless you start your mead or cider at a very high gravity, they will tend to ferment very dry. 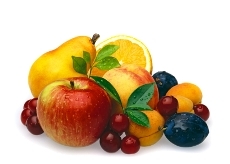 Since most fruits are a balance of fruit flavor and sweetness, post fermentation they can be faint and lifeless. Even fruits that come through well in fermentation like berries and currants will taste strange as they tend to be tart, acidic, and tannic. Some residual sweetness is needed to balance the acidity and tannins in the fruit. While the need to backsweeten beer is rare, it can be a useful technique when making certain fruit/dessert beers. Fruit sugars are highly fermentable and will ferment almost completely into alcohol. Again you may find either little to no fruit flavor in the finished beer, or else excessive acidity and tannins depending on the fruit used. I find that fruits like blackberries, tart cherries, raspberries, red and black currants, and boysenberries come through best in a fruit beer because they are high in acidity and tannins. However if you don’t balance that with some sweetness the fruit beer will be out of balance and either too acidic or lifeless. Backsweetening is remarkably easy to do. First, allow your beer, mead or cider to fully ferment to completion. Most often I will also let it age out because balancing the flavor is important and you can’t really judge the finished flavor until your beverage has aged and is ready to drink. Then you add two additives (below) to stabilize the drink, wait a few days and then add whatever sugars, concentrates or sweeteners you want to balance the taste of your beverage. Next we’re going to include two additives. The first one is sulfites in the form of Potassium Metabisulfite. You can purchase and crush up Campden tablets, which are made from this chemical, but I prefer the powedered form as it is easier to measure accurately. Potassium Metabisulfite is used extensively in wine and mead making to preserve and protect wines by adding free sulfites (SO2) to the finished wines. Contrary to popular belief it does not kill yeast cells or stop fermentation, though when used in combination with sorbates (below) it can inhibit future fermentation. Free sulfites help prevent oxygen in the finished beverage which prevents yeast and other organisms from gaining a foothold. It suppresses bacteria and other beasts and as a side benefit provides some protection against oxidation. The proper dose for a 5 gal batch (19 l) is around 1/4 tsp (1.9 g) of Potassium Metabisulfite which is enough to add 50 ppm of SO2. After adding the sulfites, you should wait 12 hours before adding the second additive which is Potassium Sorbate. Potassium Sorbate, used in combination with the sulfites will prevent yeast cells from reproducing. If you add the sorbates before the sulfites you run the risk of creating a “geranium” like off flavor that can’t be removed which is why I recommend adding the sulfites first, wait 12 hours and then add the sorbate. The recommended dose for Potassium Sorbate is 1/2 tsp per gallon or 2.5 tsp (8.2 g) of potassium sorbate for a 5 gal (19 liter) batch. While the sulfites and sorbates work quickly I recommend waiting a day or two before adding in your sweeteners just to make sure the chemistry has stabilized. Also I should note that you do not want to try to add sulfites/sorbates while active fermentation is still ongoing as it won’t stop an ongoing active fermentation. If you then try to backsweeten you will probably find that your fermentation is still going, and could consume all of the sugar you just added. After you have stabilized your beverage using sulfites and sorbates you need to backsweeten it “to taste”. For this reason I usually will age the beer/mead/cider out first so I have a clear idea of what it tastes like. Next I will pour some of the beverage into a measuring cup and start with a known quantity like 500 ml. Now I will measure out my sugars, whether it be honey, cane sugar or some other sweetener, and slowly add measured quantities to the cup. When I get to the right balance of sweetness, I will then note the amount of sugar and beverage used and scale it up for the entire batch. Alternately you can also make small samplers of 100ml each and add varying quantities of sugar to each. Then do a comparison between all of the cups to find which you like the best and then scale up to your batch size. For the final blend, transfer my batch to a bottling bucket where you can measure the final volumes accurately and get an even mix before kegging. Keg – Don’t Bottle a Backsweetened Beverage! This may be an obvious point, but backsweetening really only works for kegged beers. The problem is that once you backsweeten the beer it has a bunch of sugar in it so there is no way to naturally carbonate it in the bottle without kicking off fermentation again and potentially creating a bottle bomb. So if you want sparkling cider, mead or carbonated beer you are basically locked into kegging it and then force carbonating it. Now you could potentially bottle from the keg using a counter-pressure filler or Beer Gun, but again some caution is requires for long term storage as there is the potential for referementation and bottle bombs. Many still meads and ciders are backsweetened and bottled. I would personally cap these using a cork as a cork offers some pressure relief since it will be pushed back out of the bottle well before the bottle itself fails. It may still create a mess if fermentation starts again but at least it won’t create an exploding bottle. Hopefully you enjoyed this week’s tip. Thanks for joining me on the BeerSmith Home Brewing Blog. Be sure to sign up for my newsletter or my podcast (also on itunes…and youtube…and streaming radio station) for more great tips on homebrewing. There is another way to back sweeten cider, which works way better. Ferment, then use apple juice to sweeten to desired level and add your bottling sugar (dextrose or whatever you want to use). Allow to carbonate to desired level (checking a bottle each day once it gets close. When desired carbonation is reached, pasteurise your bottles (killing yeast) by submerging in water at about 180F for 10 – 15 mins. You can use a turkey fryer or something like that to easily retrieve the bottles in batches. This will produce a much better result, you dont lose carbonation, it tastes great, and is arguably less stuffing around than the suggested way. What about back sweetening with a non fermentable sugar like Splenda and then use your normal amount of sugar to carbonate in the bottle? That certainly is an option, but in many cases people like to use honey, apple juice concentrate, and fruit juices as well. We’ve used xylitol (a sugar alcohol) for our ciders which isn’t fermentable and yields a nice sweetness. Gets around the bottling issue but I just keg now… I find it easier. Hi Jason were do I buy or get xylitol and how much do I use per 23 Lt brew? Do I put it in during brewing or after?